Andy Schroder is heavily involved in many projects that explore solar energy and power cycles, in addition to heat transfer research. He has used his engineering experience and passion for Bitcoin to create The Bitcoin Fluid Dispenser II, which allows customers to pay for gas from a self operating machine using Bitcoin. The device itself looks identical to a modern fuel pump only with slight modifications, most notably, a large screen that allows users to view the cost of the fuel, scan a Bitcoin payment address, and keep track of how much has been pumped. Much like pre-paying in cash at your neighborhood gas station, users pre-pay at the pump with their Bitcoin wallet and receive change automatically for any unused credit when they are done pumping. Simply scan the QR code on the pump and send mBTC (millibits) from your mobile device. Once the pump receives the payment you can begin fueling. You can already buy gas with gift cards purchased with Bitcoin, but buying gift cards or prepaid debit cards with Bitcoin means retailers are still relying on a credit card system, instead of using Bitcoin to do what it is made to do: eliminate fraud, provide faster payments, eliminate the need to store cash from the point of sale, and decrease per transaction cost. Schroder’s innovation allows both retailers and consumers to take advantage of all the benefits of bitcoin, while still maintaining the conveniences of a credit card based sale. Schroder believes in the importance of trading consumable commodities with Bitcoin, and thinks that it may help reduce volatility and increase adoption. “Some economists share the belief that a continually inflating currency is needed to encourage trade and maintain an active economy, because in an inflationary monetary system if you don’t use your store of value, you lose it, which promotes spending,” Schroder stated. 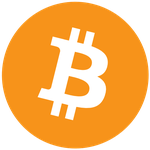 “However, within the cryptocurrency Austrian economics communities, many have grown frustrated with continually inflating monetary systems because it is considered a form of theft from the people by the central bankers.” Instead, Schroder believes that if commodities that are needed to sustain our everyday lives and businesses can be purchased directly with bitcoin, that the market can thrive with a deflationary currency like Bitcoin. Making a fuel purchase directly with Bitcoin means that you never have to leave the pump, pre-pay with cash, or share important credit card and personal information. Bitcoin could enable the global trade of consumable commodities like oil and gas without having to rely on currency exchanges or an inflationary monetary system. Hopefully the oil and gas industry will embrace bitcoin and can close this loop. If they do, maybe other industries will follow suit, further propelling bitcoin into mainstream use and making it something much more than just a speculative asset.